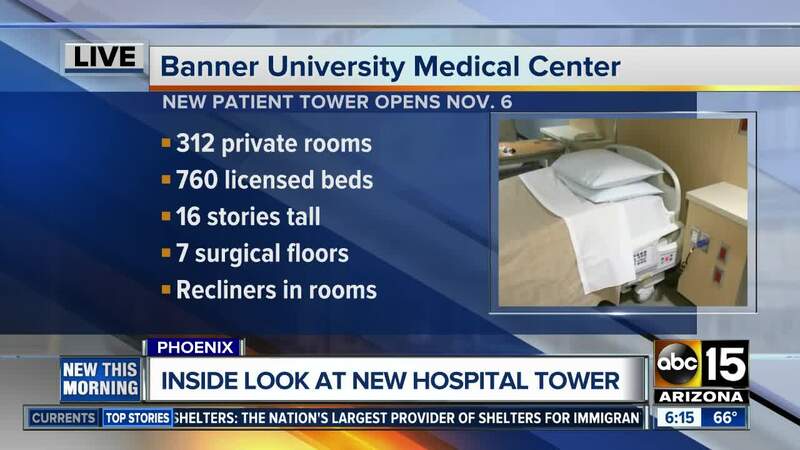 ABC15's Allison Rodriguez takes us through the newest tower at Banner University Medical Center. A brand new patient tower is opening up at Banner University Medical Center. The 16-floor tower is a “large, state of the art facility,” according to Josh Tinkle, a spokesperson for Banner University Medical Center (BUMCP). According to the Census Bureau, the population of Maricopa County grew by 74,000 people since last 2017. Banner’s newest tower is an attempt to address population growth while creating a modern, open medical facility for patients. "As our community grows, it's vitally important we grow along with is so we can ensure the highest level of care in a more spacious environment," BUMCP CEO Dr. Steve Narang said. The tower holds 312 private rooms, as well as 760 licensed beds. Private rooms include a bathroom, shower, reclining chairs, and sleeper sofas. Patients will have access to TeleHealth, or eICU (Electronic Intensive Care Unit) 24/7, allowing patients to contact doctors via screens at any time. Nursing stations at the new facility are spread throughout the floor, making it easier for patients to access nurses regardless of their room placement. The $417.9 million tower was built above Banner's three-story emergency room facility, which opened in June 2017. 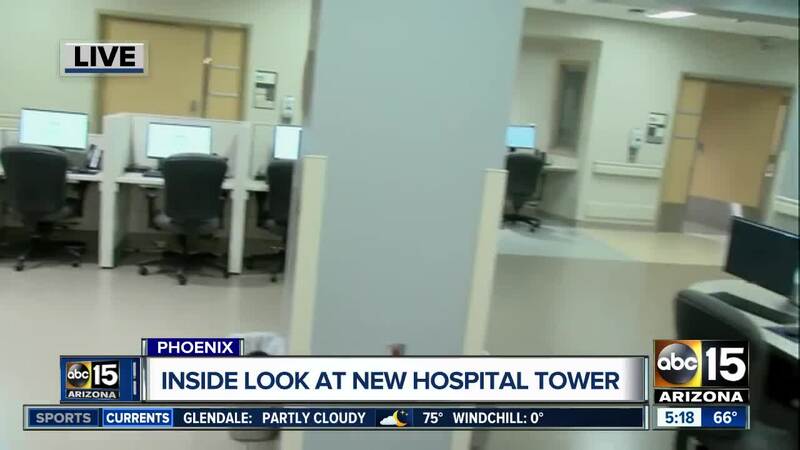 It is now the tallest hospital in Arizona. Should expansion of BUMCP be necessary in the future, the facility's infrastructure can support two additional towers. The newest tower is set to open November 6.